There is a world of spice racks available in every size, configuration, shape and style and free spice rack plans for most styles. 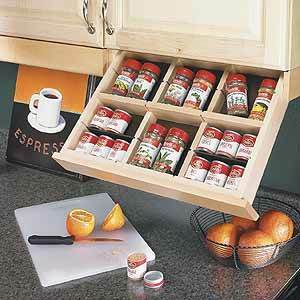 Every kitchen has herbs and spices, and every cook should have a place to organize and display her seasonings. Selecting the right size and style may be the hardest part of the project, but chances are the chef will appreciate owning a custom spice rack made just for her. An apothecary drawer, simple shelves, wall mount or countertop models, a spice rack adds a touch of taste and professionalism to any kitchen. 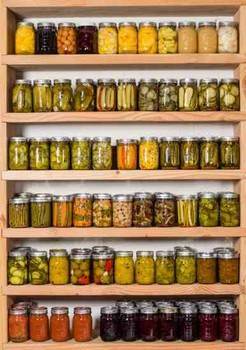 Pull out drawers and shelves can hold various shapes and sizes of spice bottles. 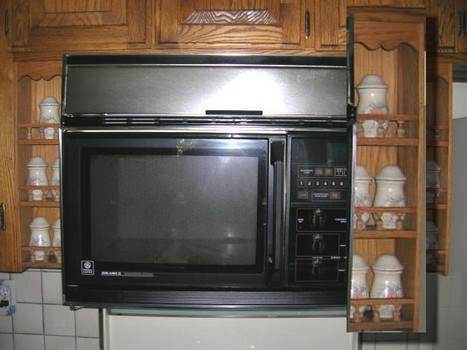 Other models have matching ceramic or glass containers to hold the seasonings. Whichever you select, you are sure to get an extra special Sunday breakfast for all your efforts. Free spice rack plans can be simple or complex, a beginner's project or a job for a skilled craftsman. 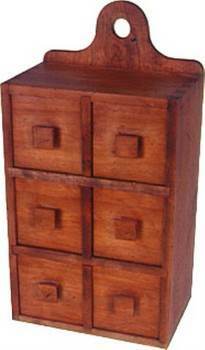 You can build this spice chest that has six drawers for your most used spices. There is also a small space at the bottom for growing your own herb or spice plant. Keep spices within arms reach by building this wooden spice rack that will hold up to twelve ceramic jars. Build the cook in your family this handy spice rack that looks great sitting on the kitchen counter holding twelve spice jars. 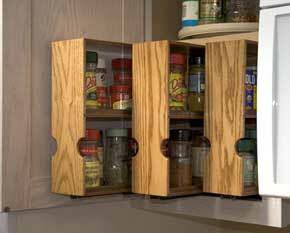 Here is a plan for a spice rack that can be easily mounted inside a cabinet or pantry door. 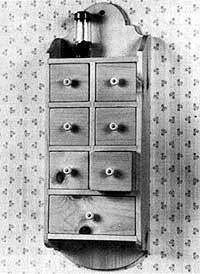 Build this old fashioned spice cabinet with six drawers using this plan. This is a project for a large spice rack that will be able to accommodate all your spices and possibly other cooking products. 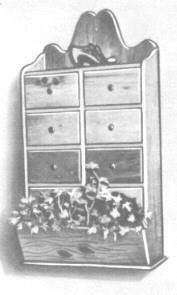 This colonial spice rack has a rustic appeal with its six square drawers and one long bottom drawer. 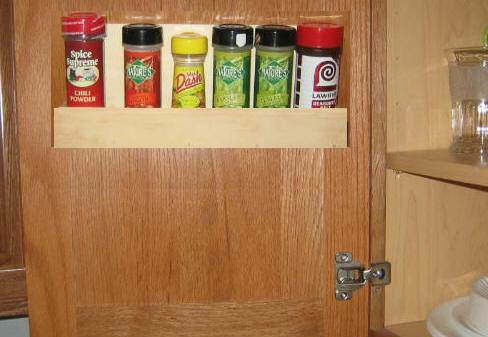 Build this handy slide out spice rack that fits underneath your kitchen cabinets. 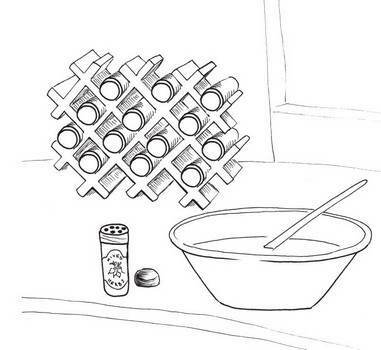 Here are instructions for building a spice rack that is large enough to not only house spices but other foods as well. 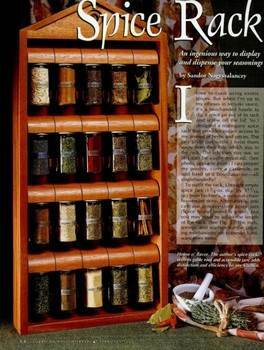 Here is an awesome spice rack plan where the spice jars pivot out for ease of accessing when cooking. Keep spices easy to find and cabinets clean and organized by building this slide out spice rack inside your kitchen cabinet. 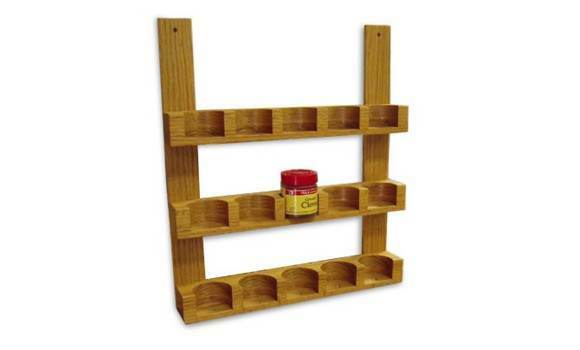 This spice rack is designed to hold fifteen large or small spice jars and helps make cooking flow easier.